What’s the most important thing you can do as a Christian? What is it that sets followers of Jesus apart from the rest of the world? Is it baptism? professing Christ as their savior? 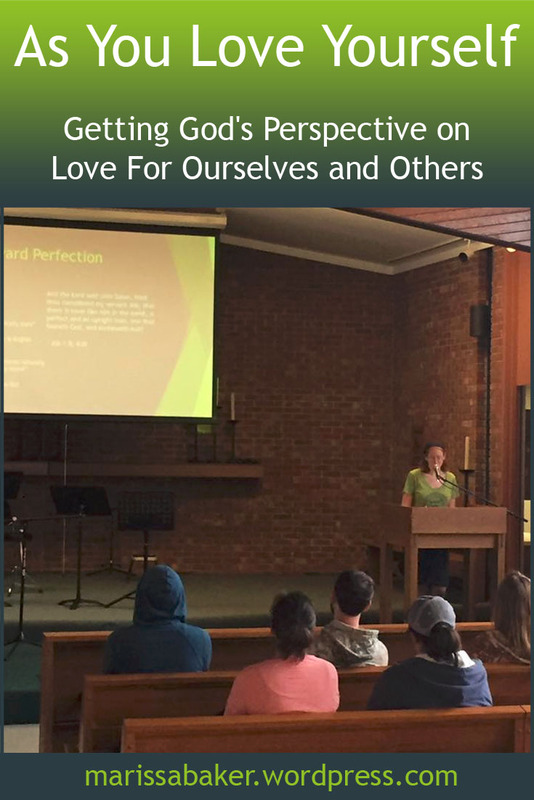 doing “the work of God”? keeping the Sabbath? While these are all important, they are not what Christ described as the greatest commandments. 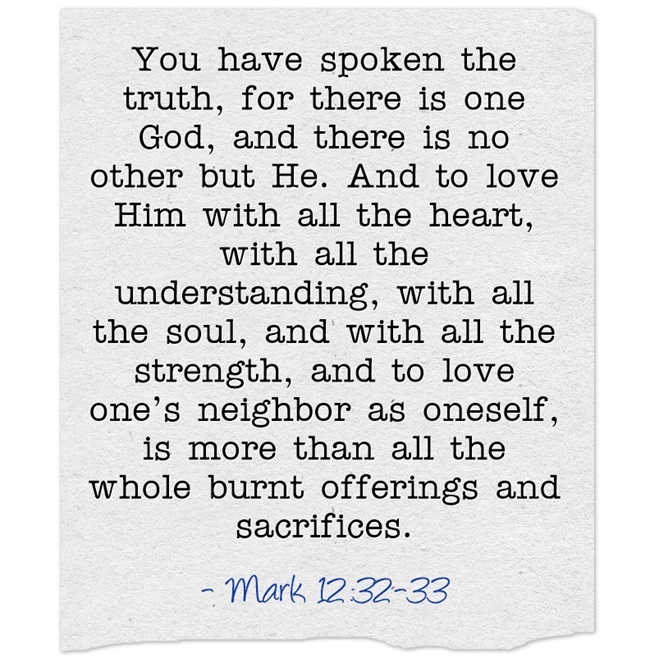 In Mark’s account, Christ says, “There is no other commandment greater than these” (Mark 12:31). Both these commandments begin with the instruction, “You shall love.” In Greek, the word is agapao (G25), and it “indicates a direction of the will and finding one’s joy in something” (all dictionary quotes from Zodhiates). I also find it interesting that, even though the lawyer only asked about the most important commandment, Jesus told him about the second as well. It was important to Christ that His hearers knew they had to love each other as well as God. We’ve already seen Jesus describe “You shall love the Lord your God” and “You shall love your neighbor” as the two most important commandments. On His last Passover, He added another layer. We are to love other people the way we love ourselves, and we are also to love our brethren the way Jesus loves us. Love among the believers is how Christ said “all men” would recognize His true church. 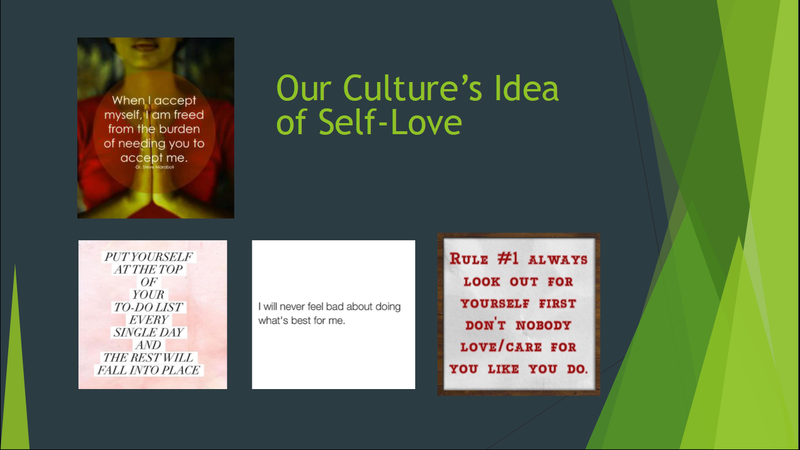 It’s the key to how we should treat one another, as we talked about last week. We need to actively care for one another, to sacrificially love others as Christ did when He laid down His life for His friends (John 15:12-14). This sort of love isn’t just a feeling — it involves a choice to find our joy in our fellow believers and in our relationship with God. It is absolutely necessary for our personal growth and for peace in the church. Paul had just been talking about spiritual gifts and unity in the church body. Now, he says that those gifts are useless without love. All these things that we find so impressive — inspired speaking, understanding the mysteries of God, knowing everything about the Bible, mountain-moving faith — they are all nothing without love. I know of a man who is convinced he’s close to having full knowledge of God, and he’s so caught up in this that he’s almost impossible to talk with. He’d probably scoff at the idea that love is more important than his pet Bible theories. Yet it was the person who knew that to love God “with all the understanding, with all the soul, and with all the strength, and to love one’s neighbor as oneself, is more than all the whole burnt offerings and sacrifices” to whom Jesus said, “You are not far from the kingdom of God” (Mark 12:32-34). Now Paul tells us that we can go through all the motions that look like sacrificial love, and still not have genuine love. Unless our actions are motivated by true agape, they don’t do us any good. Our good actions will benefit others, but if our hearts are not right we will not reap the benefits of practicing the kind of love that Jesus Christ models. The Greek word for “love” in 1 Corinthians 13 is agape (G26), a derivative of agapao. Zodhiates says this “word [is] not found in class Gr. but only in revealed religion.” He goes on to say that agape means benevolent love, which is “not shown by doing what the person loved desires but what the one who loves deems as needed by the one loved.” Think of God sending Jesus as the sacrifice for sins to a people who thought they didn’t want Him, or of Casting Crowns’ song Love You With The Truth. But this definition still isn’t a full picture of agape. For that, we need to read on in 1 Corinthians 13. “Suffers long” is from the Greek word makrothumeo (G3134). It means to be long-suffering and have endurance rather than giving up and losing faith or becoming angry. Specifically, “makrothumeo involves exercising understanding and patience toward persons” (there’s another word for patience with things and circumstances). It is used to describe God’s attitude toward us (2 Pet. 3:9), and is an attitude we should have toward every person (1 Thes. 5:14). This verse is the only time the word chresteuomai (G5541) apears in scripture. It is, however, related to the word chrestos (G5543), which means “profitable, fit, good for any use.” Kindness is a willingness to be useful, a readiness to assist others. God is kind toward all (Luke 6:35; Eph. 2:7), and as with other attributes of God it is something we must also learn (Eph. 4:32; Col. 3:12). The words translated “envy” is closely related to zeal, and can actually be used in a good or bad sense. Paul uses it both ways in Galatians 4:17-18, where zeloo (G2206) is translated “zealous.” In 1 Corinthians 13, it means having a wrong kind of zeal that manifests itself in jealousy and envy (Acts 17:5-9). These two attributes of love are similar. One involves not bragging about the things you have. The other involves avoiding pride and self-conceit. Proverbs 6:16-17 tells us that pride is an abomination to God. Humility is what He looks for in people who have His love inside them (1 Pet. 5:5-7). Love isn’t concerned with accumulating wealth or glory for the self. Rather, those who love “esteem others better than himself” and look out “not only for his own interests, but also for the interests of others” (Phil. 2:3-4). The basic meaning of the word parozuno (G3947) is to sharpen, but in the New Testament it is used “metaphorically, to sharpen the mind, tempter or courage of someone, to incite, to impel … to provoke or rouse to anger.” This reminds me of a verse in Ecclesiastes: “Do not hasten in your spirit to be angry, for anger rests in the bosom of fools” (Ecc. 7:9). Here again, looking at the Greek adds layers of meaning. The word “think” is logizomai (G3049), and it means “to put together with one’s mind, to count, to occupy oneself with reckonings or calculations.” This is telling us that love does not devote mental energy to wicked, evil, or corrupt schemes. Our minds must be occupied with good (Phil. 4:8). I also find it interesting that the word for rejoicing in iniquity is a general word for being glad (chario, G5463), but the word for rejoicing in the truth is sugchario G4796), which involves rejoicing together with others. The rejoicing that love does it not isolated — it is shared joy. “Bears” means “to cover over in silence.” Specifically, in 1 Corinthians 13, stego (G4722) means that “love hides the faults of others and covers them up.” The word “Believe” is from pisteuo (G4100), and it means to have faith or trust in something. In particular, “to be firmly persuaded as to something,” especially of belief in God. The Greek word elpizo (G1679) means to hope or “expect with desire.” It can also refer to putting hope or trust in God. 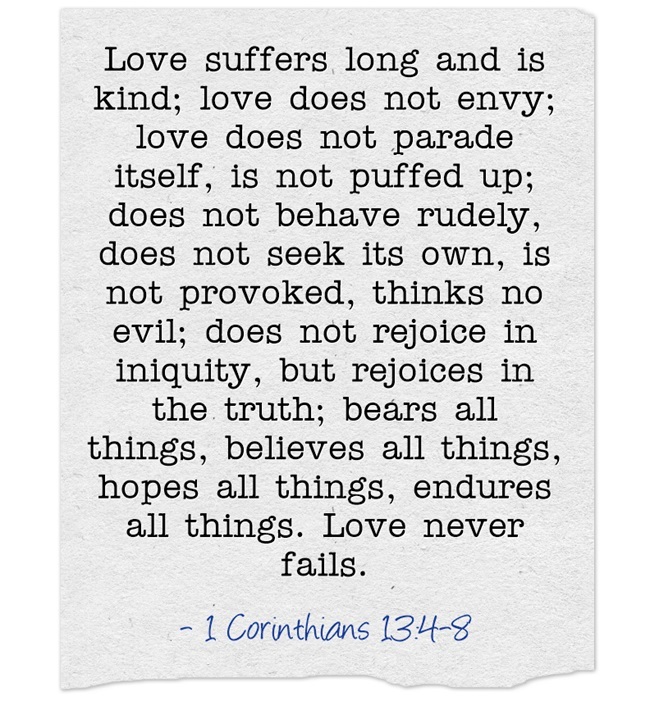 It is worth keeping in mind that, since “God is love” (1 John 4:8, 16), this definition of love in 1 Corinthians 13 is also a description of God. 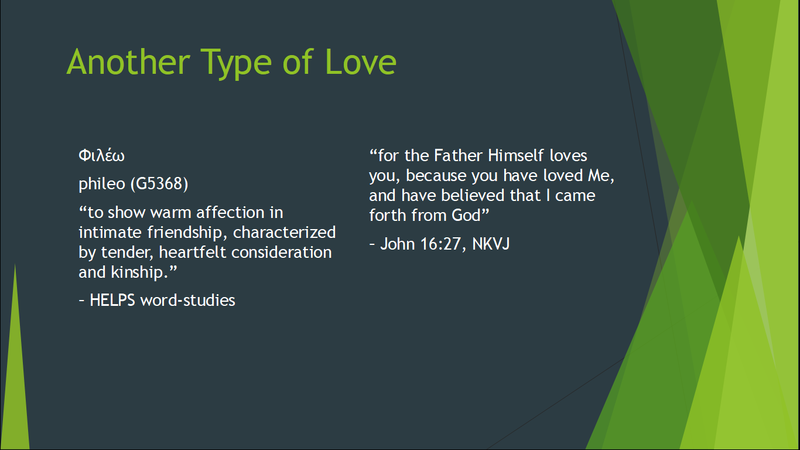 As we grow to have these characteristics of love, we are also becoming more like Him. God has given us all the tools we need to partake in His “divine nature.” His process of building a family involves making us like Him and like His Son by changing our minds and actions now, and our bodies in the future. There are many things that we can’t take into the next life, including our physical possessions and physical bodies. There are also attitudes and beliefs that God won’t allow in because they are incompatible with His nature. 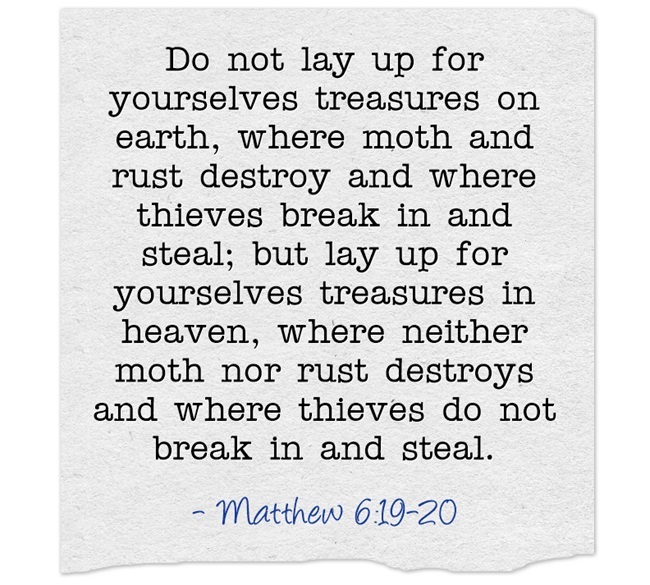 But there are other things — things we can “lay up” as “treasures in heaven” (Matt. 6:20) — which we can take with us. That is why those who have hope of becoming like Jesus purify themselves “as He is pure,” because only the parts of ourselves that look like Him will endure. Even some of the good things we have now — like knowledge, certain gifts, and prophecy — eventually won’t be relevant in their current form because they will be superseded “when that which is perfect has come.” Our understanding of these things now is limited and child-like, and will be replaced by something deeper (1 Cor. 13:11-12). This is not the case with love. Love transfers to the next world. It is not put away and it never fails. That is because God is sharing His very nature with us, right now. It is a gift so great that it doesn’t need to be replaced with something better. Indeed, it cannot be. God has shared His love with us, and intends to perfect that aspect of Himself in us right now. He wants us to be “as He is” even while we are in the world. We started out talking about how important it is that we love all our brethren, and we see it again here in 1 John. Loving one another proves that we are born of God, and it is a prerequisite for God dwelling in us. In fact, John tells us that if we don’t learn to love our brethren, we cannot claim to love God (1 John 4:20-21). It is vital to understand this, dear readers, because if we don’t have God’s love in us we are missing the greatest attribute designed to carry over into God’s kingdom. If we don’t have love, will there even be any point in God having us there? How Should We View Other Church Groups? But what if there isn’t anything wrong with “them”? What if they are already in God’s church, and the problems lie with us picking and choosing a “my church” to stick with? Take the churches of my faith background as an example. There are literally hundreds of different groups that are all keeping the 7th Day Sabbath and God’s Holy Days of Leviticus 23, and each of them considers that a defining “thing” about our particular variety of Christianity. Yet there are still people, especially in the larger or more exclusive groups, who think if you aren’t keeping the Sabbath with their church is doesn’t really count. And then we tell ourselves we’re better than “mainstream Christianity”! There was a similar problem in the New Testament church, with divisions between Jewish and Gentile believers. Up until Acts 10, the disciples assumed only Jews were being called to know Jesus Christ. Then, God showed very clearly that He was opening up the chance for salvation to everyone. This man was already serving the God of Israel, but the Jews wouldn’t have had anything to do with him. Unless there were other Gentile believers around, he didn’t have anyone to fellowship with except his family. Some of us have probably been there, without a local group to fellowship with or feeling like we’re unwelcome in the ones that are there. In Cornelius’s case, God took care of this problem by sending him a vision telling him to send for Peter, and then God told Peter to go (Acts 10:3-27). And just to clear up any lingering doubts in the minds of Peter’s Jewish companions, God gave Cornelius and his family the Holy Spirit before they were even baptized. From the very beginning of the New Testament church, Jesus made it clear that He wasn’t going to work with just one group or one type of people. He had bigger plans. Several things happened in the aftermath of Cornelius’s conversion. First, Peter had to defend his choice to even talk with a Gentile. Once the whole story was known, though, there wasn’t much to say. That wasn’t the end of the squabbling, however, because church culture started becoming an issue. 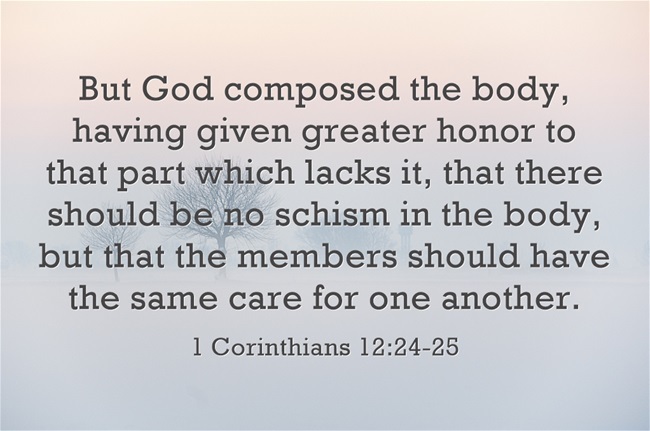 The way I see it, the whole circumcision debate that became such an issue in the early church boiled down to a group of people who thought everyone else had to worship God the exact same way they did. They didn’t want the Gentiles bringing in any of their culture or ideas about how to worship, and they certainly didn’t want anyone to “get away with” anything. There’s quite a discussion about this question in the rest of Acts 15. The basic decision was to lay no unnecessary burden on the new converts. Precisely why physical, male circumcision is unnecessary under the New Covenant is something addressed in Paul’s epistles (1 Cor. 7:18-19). My point is that this question was a big deal to some people, and it caused division, dissension, and dispute in the church. Yet the consensus upon examining the issue was that it wasn’t really anything to get worked up about either way. There were far more important things to focus on, like the keeping of God’s commandments and developing a relationship with Him. So far we’ve seen church culture/background divisions and doctrinal divisions in the New Testament church. They also struggled with another sort of division that we face today, regarding which human teacher you follow. Paul would no doubt have much the same thing to tell us today — that we should stop squabbling about who we follow or what group we’re in and be unified in Christ. The message is not to convert everyone to your faction and then get along. It’s to be unified right now — to be peaceful with the people you’re currently squabbling with both inside and outside “your” group. There are Biblical guidelines for resolving conflict (Matt. 18:15-17; 1 Cor. 6:1-11), and none of them involve starting a new church group because you can’t agree on when the barley in Jerusalem is ripe, or excommunicating a family because they want to keep the land Sabbath on their farm (true stories). We have different ways of dividing ourselves now other than Jews vs. Gentiles or circumcision vs. uncircumcision, but the principles laid-out for how these groups were to interact give us guidelines for how the churches of God should look today. There is no difference — how strange that must have seemed to them! As strange as telling a former Catholic and a former Baptist who meet in the same group now that there was never any difference between them in God’s eyes; as strange as telling a Sabbath keeper with a Worldwide Church of God background that there’s no difference between them and a Messianic believer. There used to be dividing lines, but no longer — they are all done away in Christ. There aren’t multiple groups in God’s eyes. Every person He has called into His family is part of the temple He is building. He doesn’t expect everyone in His family to look or act exactly alike, so why should we? If the foot should say, “Because I am not a hand, I am not of the body,” is it therefore not of the body?And if the ear should say, “Because I am not an eye, I am not of the body,” is it therefore not of the body? If the whole body were an eye, where would be the hearing? If the whole were hearing, where would be the smelling? But now God has set the members, each one of them, in the body just as He pleased. And if they were all one member, where would the body be? And there you have it — God is working with a wide variety of people who are filling different roles as He sees fit. When we decide a certain person, or type of person, doesn’t have a place in our church group, that’s like saying our bodies would be just fine without an eye or a foot. God knows what He’s doing. He doesn’t make a habit of calling people to follow Him unless He has a plan for working with them. It is not our place to decide who God is and is not working with, or who He should call. How arrogant is it for us to assume we can decide which people God takes an interest in? There are times in the church when we have to make judgements concerning right and wrong. Sometimes the fruits seen in a person’s life call for them being excluded from fellowship until they return to God’s way of life, but those incidents should be rare and very carefully considered (Matt. 18:15-17; 1 Cor. 5:1-13). As a general rule, the actions we need to be most concerned about are our own. God isn’t going to have people in His family who can’t get along with each other and who refuse to work with certain people. His plan is for the whole world to repent and be saved (John 3:16-17). If you’re excluding people from God’s family, even just in your own mind, then your thoughts are not in line with His. At the end of the book of Revelation there is a beautiful picture of the future where “a pure river of water of life” flows out “from the throne of God and of the Lamb.” A tree of life grows by this river, and the “leaves of the tree were for the healing of the nations” who will see God’s face and live in His light (Rev. 22:1-5). 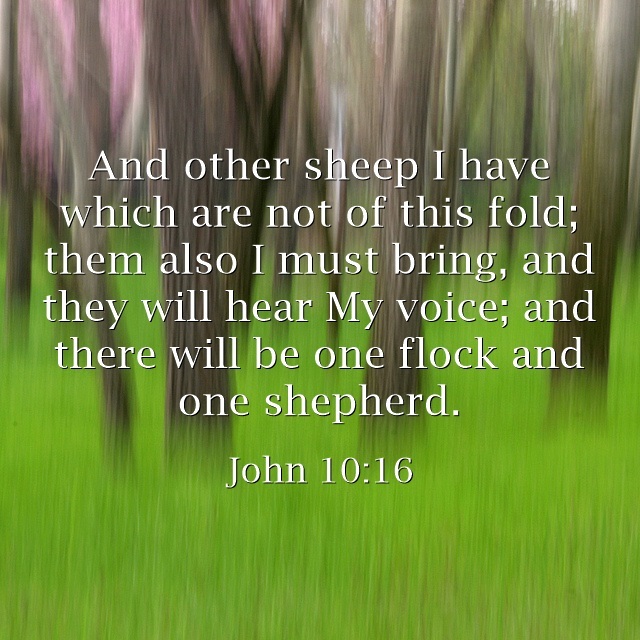 In this future, what do we see the Lamb’s wife — the church — doing? We’re welcoming anyone who wants to come, inviting them to freely partake of what God is offering. We aren’t picking and choosing who’s allowed in — we’re inviting everyone to come and learn. This is something we have to start learning how to do now. I think sometimes we expect all this will be easy when we’re spirit beings, but if that was a magic cure-all for bad attitudes, Lucifer wouldn’t have fallen (Is. 14:12-21; Ezk. 28:11-19). It is imperative that we learn how to relate to one another now, for if we cannot be faithful and obedient on a physical level in a command so important as “love thy neighbor as thyself,” why would God entrust us with true riches? (Matt. 22:36-40; Luke 16:10-12). Some time ago, I was reading through the parable of the good Samaritan, and asking much the same question as the certain lawyer who prompted the parable: “who is my neighbor?” (Luke 10:25-37). 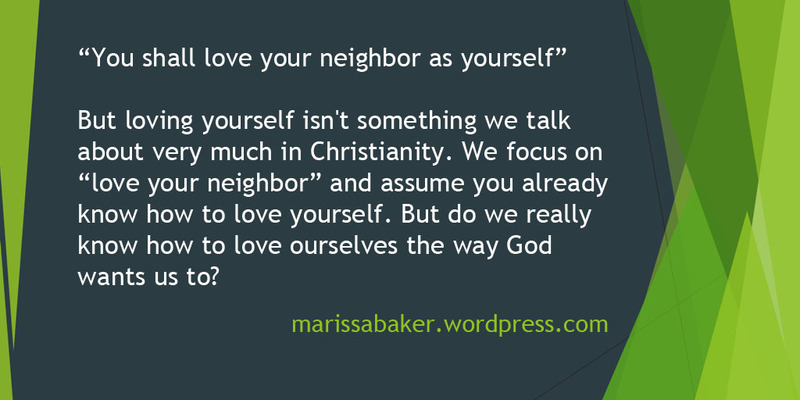 The parable itself makes this answer pretty clear, but I still decided to look up the Greek word for “neighbor,” just to see if there was something I might have missed. It means neighbor, fellow man or fellow creature, indicating primarily an outward nearness or proximity. Occurs in Luke 10:29, the parable of the Good Samaritan, which teaches that he who is outwardly near us should be the object of our concern in spite of the fact that there are no ties of kindred or nation between us. Other words, if someone is anywhere near you — if you can see, hear, or know of them — they are your neighbor and you have a responsibility to them. Thinking about this fact has made me feel guilty on numerous occasions. For example, I had classes with some people I disagreed with and flat-out didn’t like, but at least for the four hours a week that we were in the same classroom, they were my neighbors. Jesus Christ said, “the first and great commandment” is to “love the Lord thy God with all thy heart, and with all thy soul, and with all thy mind.” The second commandemnt “is like unto it, Thou shalt love thy neighbour as thyself. On these two commandments hang all the law and the prophets” (Matt. 37-40). The commands to love sum up a main message of the Bible. It is vitally important that we learn to love our neighbors. And not just the ones we like, because the same word for love — agape — is used when Jesus tells us, “Love your enemies” (Matt. 5:44). In Mere Christianity, C.S. Lewis said, “Do not waste time bothering whether you ‘love’ your neighbor; act as if you did. As soon as we do this we find one of the great secrets. 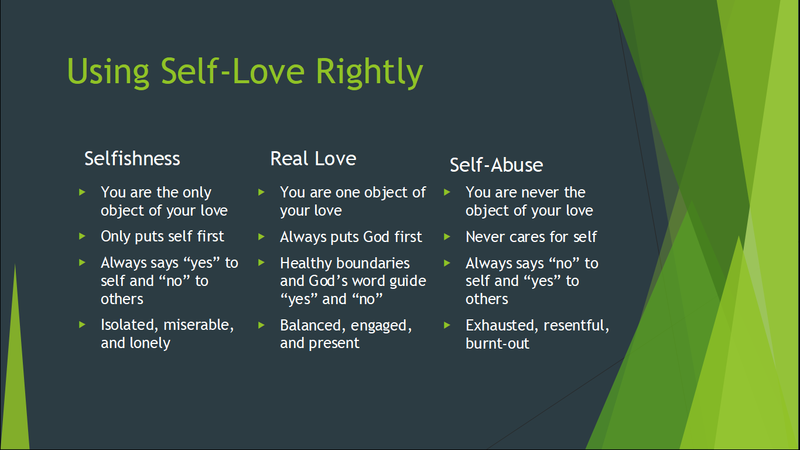 When you are behaving as if you loved someone, you will presently come to love him.” Acting as if we love a person is a better first step than trying to develop warm fuzzy feelings for someone we don’t like. The feelings we usually associate with love are optional, caring about the person’s well-being is not. 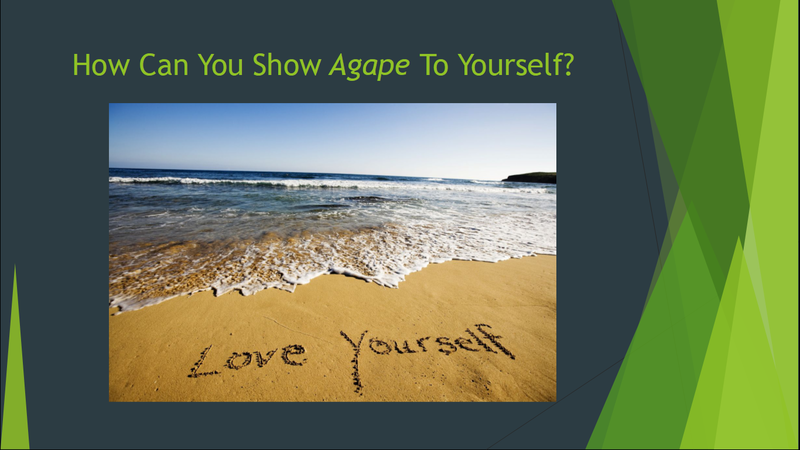 Agape (G26) and its root word agapao (G25) are best defined as “affectionate regard, good will, benevolence.” They indicate “a direction of the will” and differ “from phileo (5368), to love, indicating feelings, warm affection” (Zodhiates). The agape kind of love can involve emotions, and frequently does, but it is more concerned with an active decision to care about the well being of another person. Love is a choice, and if we want to become like God, it is a choice we must learn to make.